MU Legend was a lot of fun to play with friends. The combat feels smooth and dungeons can be challenging. At the moment MU Legend is the good game coming in the near years. In MU Legend, when you created a character you got into the main town and you just went out killing some monsters and getting some MU Legend Zen & MU Legend Power Leveling and buy some items, it was awesome! MU Legend is more diverse gameplay, skill mastery system and character mastery system different, more complex and interesting. 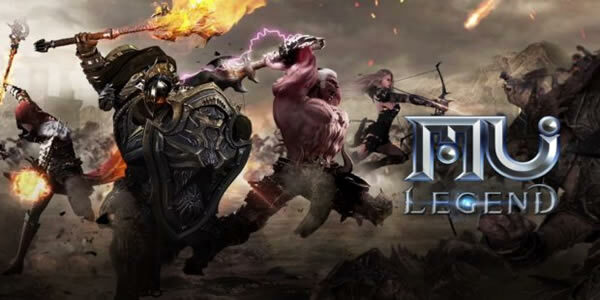 MU Legend is much closer to the usual MMORPG with fetch quests and linear maps, there's no open world PK. In MU Legend, you can drop items with varying qualities that will change or enhance how a skill works. The rarest ones like epic/legendary will have more sophisticated effects on skills other than just altering the basic stats. This makes room for a much larger variety of builds and also creats another itemization system/goal for end game. If you were a high level gamer, you wouldn't bother to come and harass other players, which would in turn encouraging other high level gamers to come and take bounties and loot from the harassers. Actually, the currently implemented skill system in MU Legend is an idea taken from an earlier iteration of the rune skill system of Diablo 3. In terms of MU Legend, MU Legend is even more grind, because how hard wings are to upgrade and how important soul levels are. Further details and guides, see more at here.